Surface dressing is used as an effective and cost-efficient way to further the lifespan of roads. However, surface dressing requires motorists to take extra care and reduce speed when passing over treated sections of carriageway as there is a short-term heightened risk of skidding. Although the newly dressed road is mechanically swept a number of times after being treated, it takes several days for chips to embed fully into the bitumen. The slow passing of traffic over a newly dressed road is beneficial as it helps speed up this process. However, when motorists do not adhere to speed restrictions and drive at excessive speed, loose chips can prove hazardous. 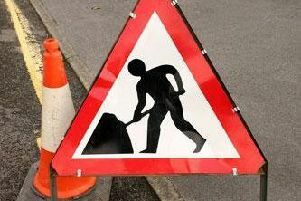 Warning signs advising of surface dressing works are always erected prior to work starting, and remain in place for several days after the work has been carried out. Chair of Aberdeenshire Council’s infrastructure services committee, Councillor Peter Argyle, said: “Road users around Aberdeenshire will be well aware of some of the work required to repair our roads following a couple of spells of severe weather over the winter and now is the time to start that work as it is weather dependent. “Surface dressing is the most cost efficient way of improving and protecting our roads, and though clearly it inconveniences people through road closures, restrictions and the need to slow down, it is the best option available to ensure our roads are in optimum condition. “The inconvenience is relatively short lived while the treatment provides a long term rejuvenation of the road surface and protects it from structural damage through water ingress.